Lucille was born in February 2014 in southern Utah and came to Best Friends in summer 2018. She is all black with a white tip on her tail and a little blue streak in her left eye. 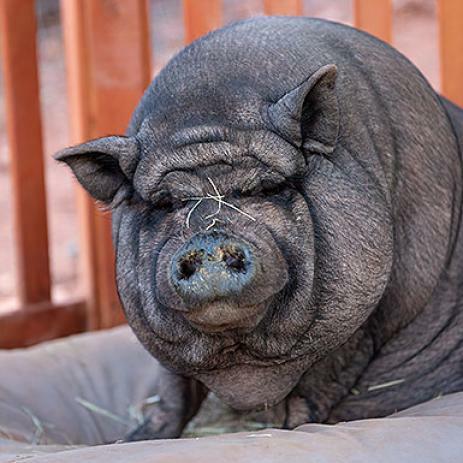 Lucille is sweet and soft spoken and loves belly rubs, clicker training, and being with other pigs. Lucille would like a forever home with a caring family who will spend lots of quality time with her.